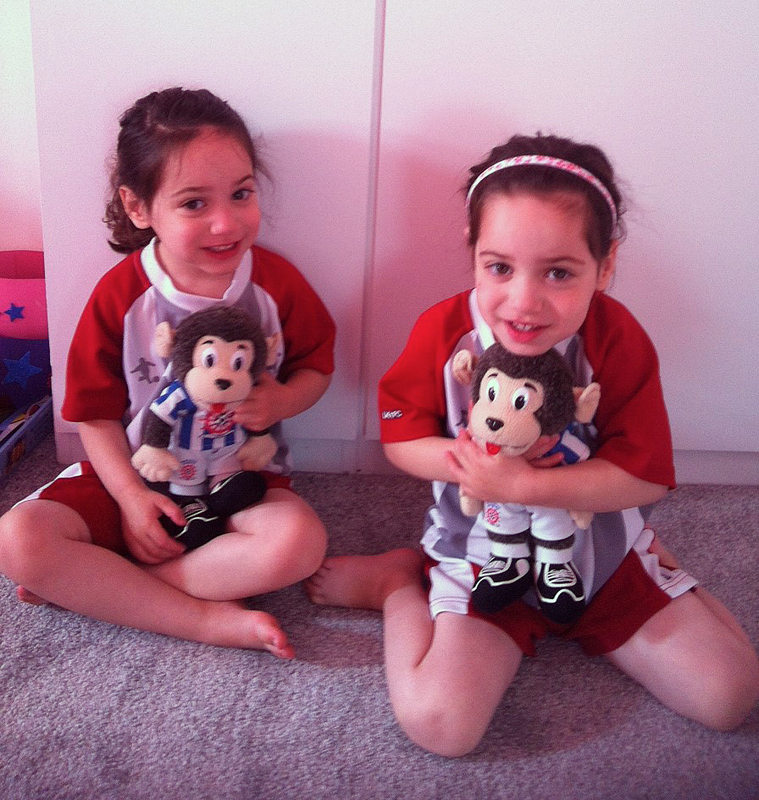 As you can see, Martin Levinson's twin granddaughters Izzy and Heidi both have H'Anguses (or are they their H'Angi? Latin scholars please comment). We can guess who provided them, because the girls have a Black Cat mother, and a Man U. father, despite which, Martin claims, they are Poolies. Of course, keeping Grandpa sweet is what little girls are very good at. Billy's Contract recently called in to inspect the Darlington Arena now that it no longer entertains football fans (not that it ever did!) He thought it was a bit too dangerous to wear a Pools shirt to do the inspection, so had to make do with his trusty Monkey Business cap. Sadly, in a few short years, George Reynolds' stadium-on-the-cheap is showing severe wear and tear, and as you can see, the gold taps and heskylators are now long-gone.